Born in Urawa, Saitama, in 1952. He pored over Manga magazines in his boyhood. He liked Toei full length animated feature films and at the same time he aspired to be a Manga artist like Osamu Tezuka. Since 1969, Takashi Namiki has been a member of ANIDO, which was instituted by professional animators in 1967, who work at Toei Animation Studio, etc. And he has studied films of the world through ANIDO’s monthly film show. 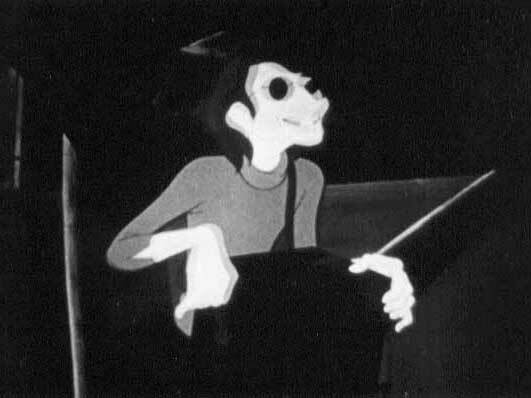 In 1973, he found a job as an animator at Oh! Production and took a part in production of “Heidi”, “Grandizer(Goldorak)”, etc., and was chosen as chairman of ANIDO. Under his leadership there were about four hundred film shows and lecture meetings over 35 years. Along with Osamu Tezuka, he organized Japan Animation Association in 1978, became the first secretary general. He has published magazine named FILM 1/24, and books on animated film, Which include: “Hayao Miyazaki’s Conan, the Boy in Future”(1979), “The Animation Films of the World”(1986), “Kihachiro Kawamoto’s Puppets for The Romance of the Three Kingdoms”(1984), “Yasuji Mori: Master Animator-His Animated Drawings”(1993) etc. He is also planer and advertising designer of video programs like those “Tale of Tales/Yuri Norstein “(1986),”A Midsummer Night’s Dream/Jiri Trnka”(1986) on Laser Disc, and distributing many great works on DVD, like “Takun Films/Furukawa Taku”(1998). He collected animated and documentary films for his private archive, which has over 5,000 titles, also preserve many materials of classic Japanese animation. In Japan and overseas countries, he has organized many film events and exhibitions. He has been invited several times to foreign film festivals, and served as a member of the jury at the Annecy International Animated Film Festival(1999/France) and Kecskemet Animation Festival(2002/Hungary). In 1999, his first produced animated film titled “Upon This Planet” had released. He is writing a book of “Masaoka Kenzo, The Father of Japanese Animated Cartoon”, and proceeding with establishment of The Animation Museum in Japan.